An anti-counterfeiting training seminar addressed by representatives of a number of renowned international brands was held last Friday, 21st April 2017. The event was organised by Sarah Galea and Lena Sammut who take care of the intellectual property and anti-counterfeiting department at IURIS and was attended by 40 officials hailing from the Customs Department. The aim of the seminar was to inform and update Customs officials on recognition techniques for counterfeit goods which may infringe the rights of the represented brands in order to faciliate detection and detention operations by the Maltese officials of goods arriving in Malta either as the intended destination or while in transit towards other EU or third country destinations. Counterfeiting is a global problem which affects both onshore and offshore circulation of goods and has ripple effects both on the economy as well as on public safety, public health and the funding of terrorism. Malta continues to play a major role in the Mediterranean and as an EU Member State through its Free Port operation, with major volumes of trade passing daily through the Freeport. 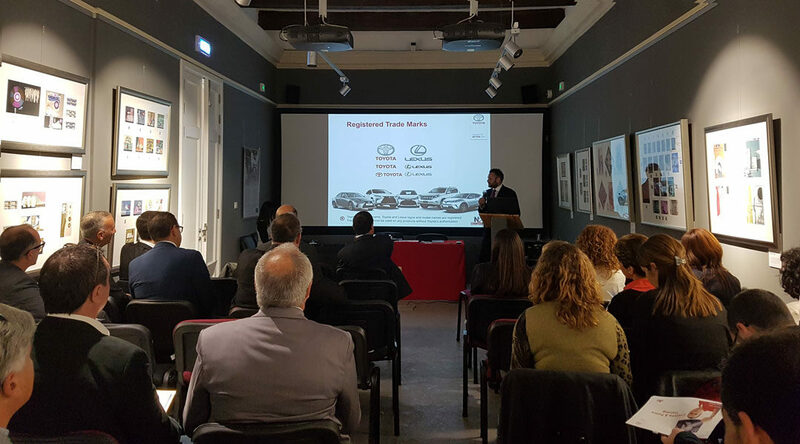 The training session which took place on Friday, 21st April 2011 at the Malta Postal Museum in Archbishop Street, Valletta kicked off with introductory speeches by Mr. Alan Mamo, Director of Compliance and Systems at the Customs Department and Dr. Sarah Galea. The brand protection managers who gave presentations included Chanel, Lacoste, New Era, Puma, Epson, Canon, The Premier League, Unilever, Pfizer, Tommy Hilfiger, Bic, Toyota and Geneva Laboratories. Training seminars such as the one held on Friday provide a valuable opportunity for brand holders to establish first-hand contact with local enforcement authorities and officials as well as to provide detailed technical information about their brands and ways in which to detect counterfeits of their products and hopefully deter future counterfeiting. All participants affirmed their cooperation in and support of all activities and efforts aimed at fighting counterfeiting in Malta, across the EU and globally and reiterated the importance of raising awareness on the negative economic and social impact of counterfeiting through the serious loss of revenue for companies who invest so much on their brands and further, the very serious threats posed to the health and safety of the general public who may be misled into purchasing and making use of counterfeit products, including pharmaceuticals, auto parts and electronic devices. Since 2004, IURIS has been the local partner of REACT, a not-for-profit organisation fighting counterfeit trade. IURIS is committed together with its strategic partners, the rightholders it assists and local enforcement authorities to continue to spread awareness and forge stronger relations in the fight against counterfeiting.